Helena has had a diverse career as a soloist, chamber and orchestral musician, and as a teacher for over 25 years. 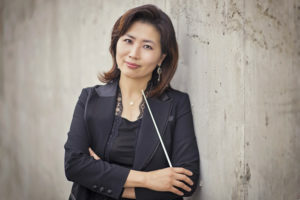 She received her BMus and MMus in Seoul, Korea, and has performed with the Jeunesses Musical World Orchestra as a member and the Seoul Youth Philharmonic Orchestra, and the Gyeonggi Provincial Philharmonic Orchestra as the principal cellist. She has participated in various musical programs, such as the Ratzeburger Sommer Akademie Festival in Germany and the Verbier Festival in Switzerland to learn from the best and refine her musical expertise. Currently she plays with the Vancouver Island Symphony Orchestra, Victoria Symphony Orchestra, and is the leader of Vancouver Island Cello Ensemble. She received the honour to feature at Concerts Denman, Lulu Performing Arts and Quadra Chamber Music Festival. She is a faculty of the Comox Valley Youth Music Camp and has held her own cello recital series; “Cellobration” and her students` concerts’; “Hello, Cello!” since 2007. Her unwavering vision of musical perfection has made her a prized musician of Vancouver Island. Her passion for music can be heard in her work and leaves concertgoers eager for more. At the pinnacle of her career, Helena is exhilarated to lead the SSO to unprecedented feats enrich the Valley with music unlike any other. Dr. James L. Montgomery became the Conductor and Artistic Director of the Strathcona Symphony Orchestra in 2015 upon retiring to the Comox Valley after 35 years of experience as a conductor, performer and music educator. Dr. Montgomery received his Doctor of Music (with Distinction) from the prestigious Indiana University School of Music, studying trombone with Lewis van Haney (New York Philharmonic) and Dee Stewart (Philadelphia Orchestra). 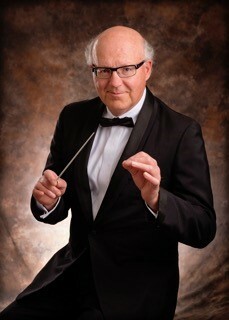 During his professional career, Dr. Montgomery was a music professor at several universities across Canada including the University of Prince Edward Island, the University of Western Ontario and the University of Alberta, teaching courses in conducting, trombone performance, brass pedagogy, music history and conducting numerous university ensembles. He also served 20 years as the Director of Music at Ardrossan Jr./Sr. Secondary School in Edmonton, Alberta. As a trombonist, Jim has performed with many orchestras across the US and Canada including the Thunder Bay Symphony, Evansville Philharmonic Orchestra, Vancouver Symphony, CBC Radio Orchestra Vancouver and the Mid-America Orchestra. Over three years, Comox Valley audiences and orchestra members came to appreciate the musicality, expertise and passion he brought to the podium for each Strathcona Symphony Orchestra concert.